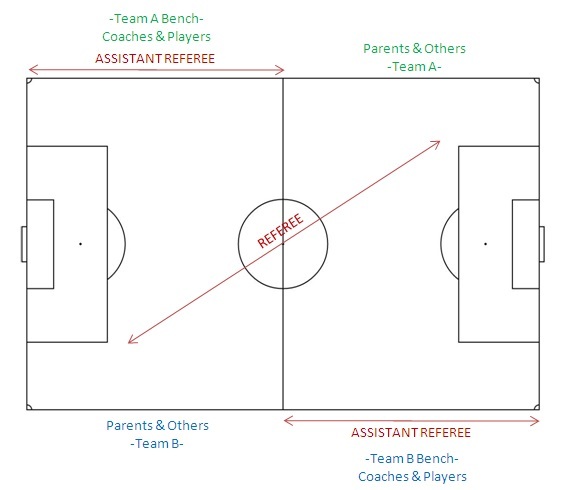 For U9 – U19 – EMSA Main has adapted a new seating arrangement for parents and teams. It is important that all team follow the same format as below. HOME TEAM chooses side that they would like to be on.